DCO Projects vs DCO Field Studies: Currently, the information collected for "projects" and "field studies" is nearly identical. DCO Field Studies may include Research Vessels and multiple detailed Physical Locations (lat/long, depth, altitude, and nominal conditions such as pressure and temperature). 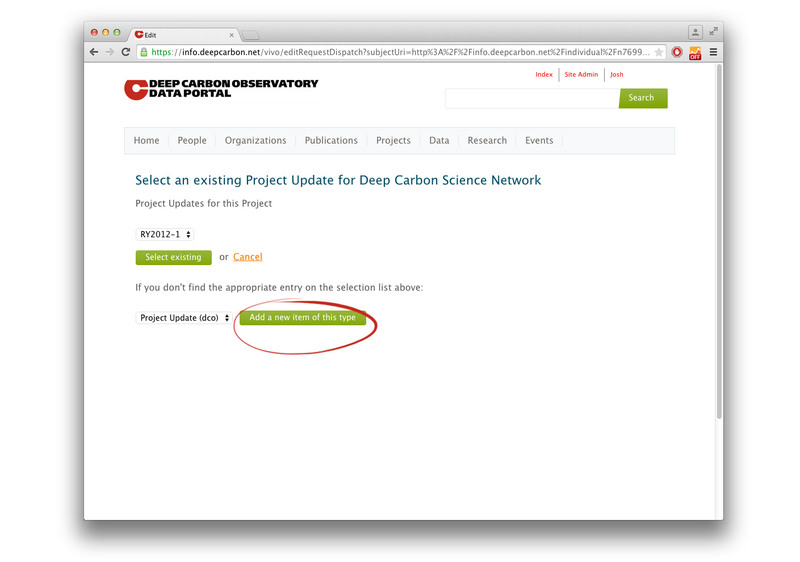 For questions or comments about these procedures, please email web@deepcarbon.net. A DCO Portal Group has been created for long-term support of the reporting process. Click here or look for it in the list of Groups on the DCO Community Portal. Beginning with the 2014 reporting period, DCO project investigators have used the DCO Data Portal for annual reporting by updating the status of their DCO Projects. 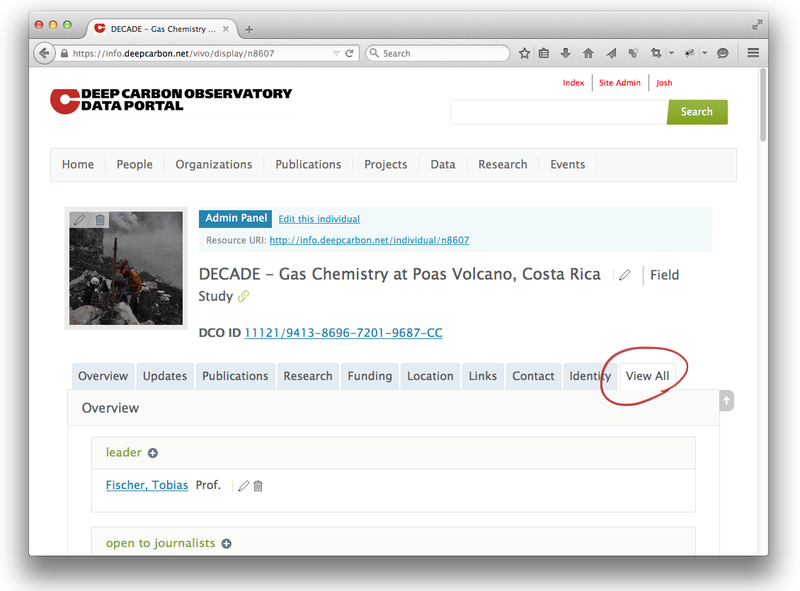 As discussed in this guide, you can locate projects using the DCO Project Browser (fig. 2), or by checking the list of projects on a community page. We recommend using the Project Browser. 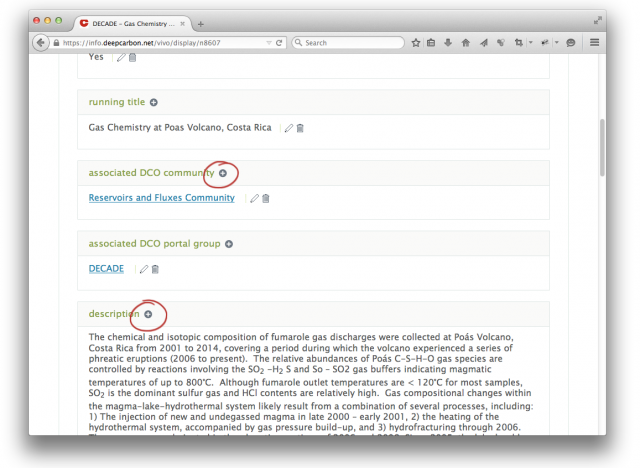 All DCO Project Investigators have DCO Data Portal accounts that allow them to create and update DCO Projects. If for some reason you do not your username or password, follow this login link to request that your username and temporary password be sent to you. The new DCO user authentication infrastructure makes toggling between the DCO Community Portal and the DCO Data Portal much easier. A guide to the DCO Portal's user registration, sign-on, and password recovery system can be found here. fig. 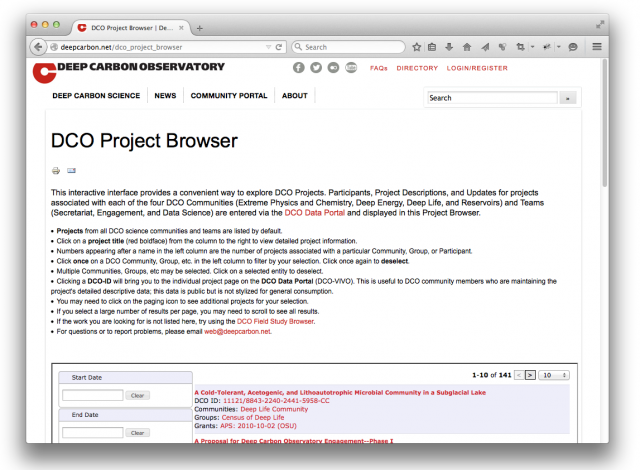 2 DCO Project Browser. Click to enlarge. 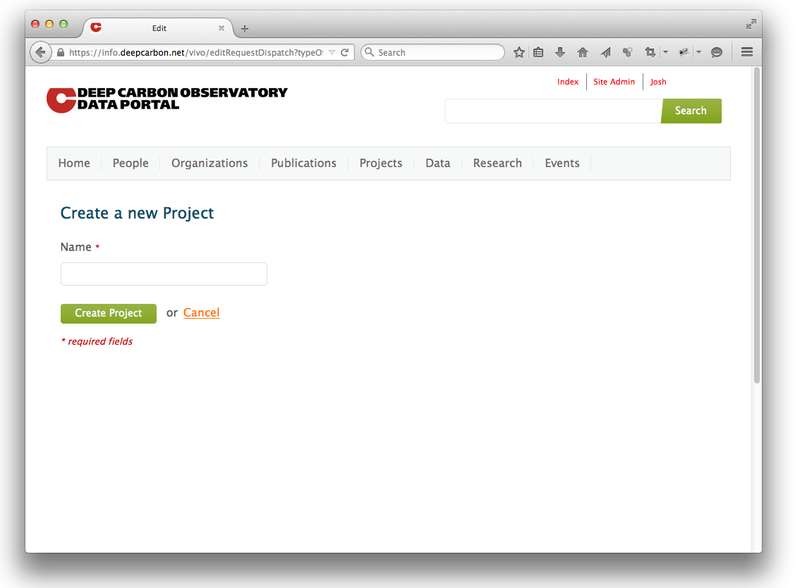 Clicking on a project's DCO ID will open the project in the DCO Data Portal. This is where project information can be edited and updated. 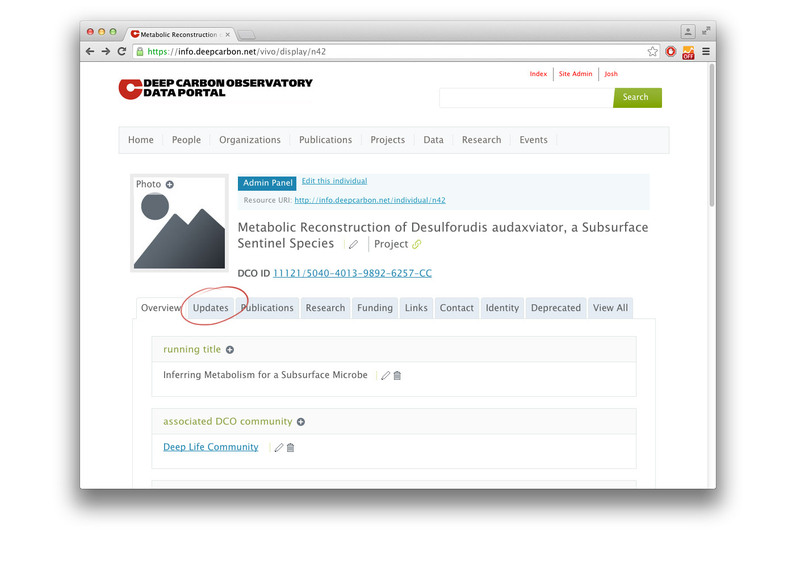 Clicking on a project's Title will open the project in the DCO Community Portal and offers a snapshot of the project that can be reviewed, and printed or saved as a .pdf. fig. 3 Adding a new project. Click to enlarge. fig. 4 The View All tab. Click to enlarge. fig. 5 Add information using the plus (+) signs. Click to enlarge. 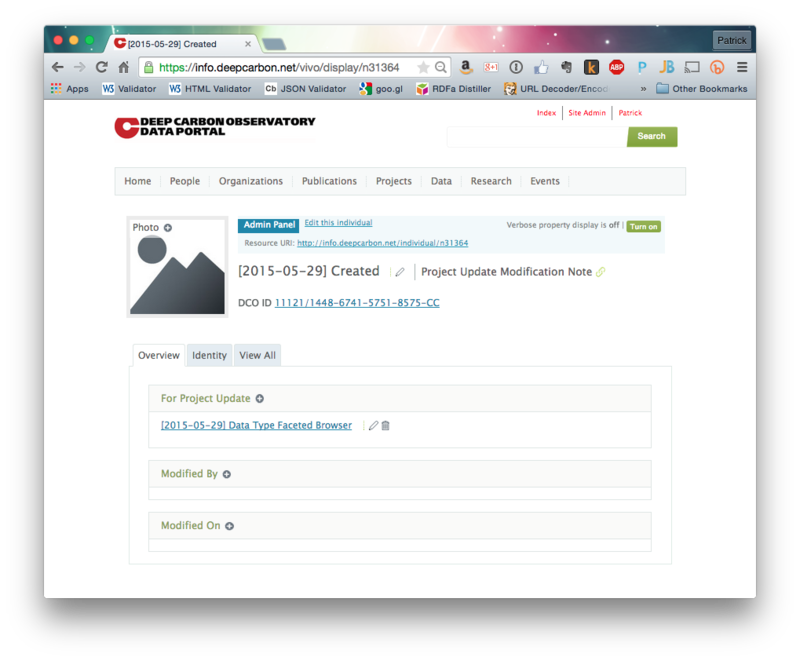 Once you are logged in, click on Project here or on the Submit Community Data page. See below for detailed information about setting and updating specific project data fields and attaching data files, etc. OR: Create new Word document and paste the content using "Special Paste"
In general, DCO Project Descriptions and Update text cannot contain markup including tables and images. We recommend including these as "attached files" in the form of PDFs, etc. See below for instructions on how to attach files to projects. In the “Communities” facet of the Project Browser select your "DCO Community"
To edit Project Data, click on the project's "DCO ID"
For each appropriate field, click on the + sign to add an entry (fig. 6), or click on the pencil to edit an entry. Always remember to save your work! fig. 6 The Updates tab. Click to enlarge. fig. 7 Click the "Add a new item of this type" button. fig. 8 Project Update screen. fig. 9 Project Update Modification screen. 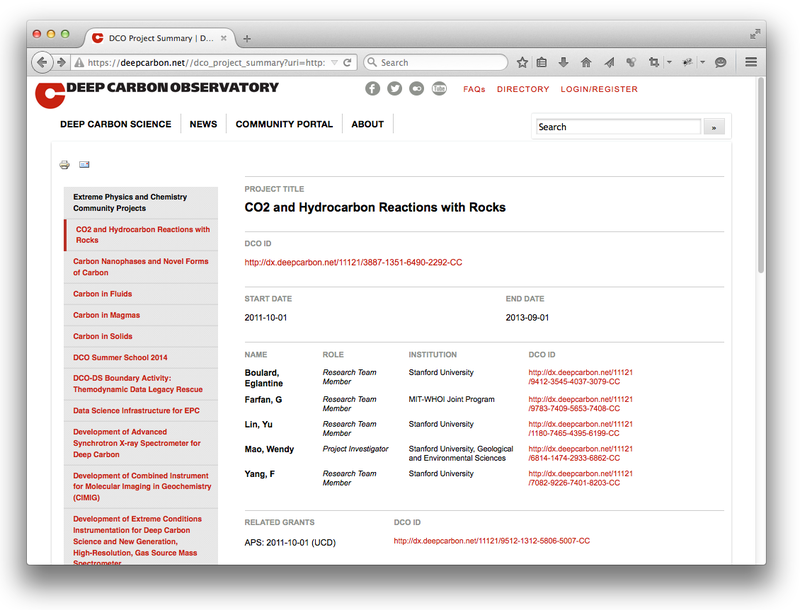 Click on your project's DCO ID to open it in the DCO Data Portal. Click "+" next to Project Update. You must be logged in in order to see the "+" icon. Enter the project update description. If possible, please avoid copy/paste from MS Word or Adobe Acrobat (ie PDF). One way is to save the content from Word as a text file; alternatively, you can copy/paste into a simple text editor, then copy/paste into the Update field. Click + next to "List of Modification"
If you would like to associate any publications to this update click the + next to "Associate Publications"
If you created or used any instruments for this update then click the + next to "Refers to Instrument"
Look for the name of the appropriate grant in the drop-down list. If the grant you are looking for is missing, click add a new item of this type with "grant" selected (should be the only choice). See below for further details on registering grants in the DCO Data Portal.